Thirty days of thankfulness | The Tales of Missus P.
← I (self) published my first book! My Muse woke me early. It’s a bit hazy outside this morning and a good 36 degrees (whatever that is in Celsius). I got myself out of bed at a reasonable time despite it being Sunday. I have my teaching job for the week to starting Monday so I’ll be up with the roosters, or cows, or whatever the expression is. 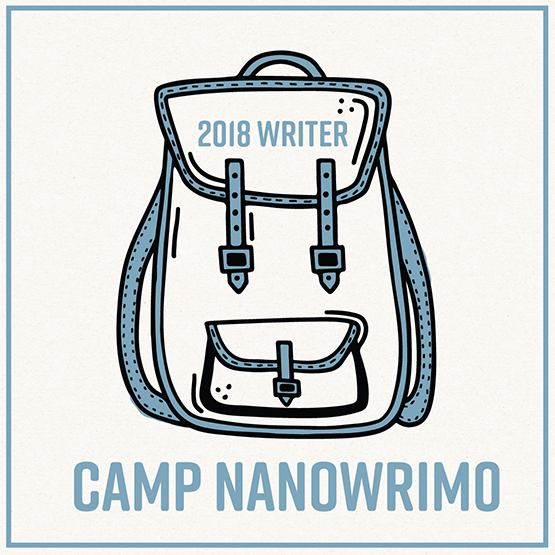 I know I should be working on NaNo today because I was short 600 words Friday and I skipped yesterday completely because we were out doing some Christmas shopping. I’ll have to get semi caught up this afternoon. I’m going to have to start using Write or Die, otherwise I write at a snail’s pace. I like taking my time – just like I do with reading. Speaking of which, I have about five books checked out. in print and ebook, from two different libraries right now. Nov 1: My sweet husband, Steve. Nov 2: My loving parents. Nov 4: The opportunities to work (this includes teaching and writing) with the potential to make a living. Anyway, this post will be short because I have more pressing issues to take care of. Hope everyone has a great November and happy writing! This entry was posted in All About Me, Books, Employment, Library, School, Teaching, Writing and tagged Facebook, family, holiday, November, substitute teaching, supply teaching, thankful, work. Bookmark the permalink. Love the thankful post. You’ll get caught up. I have faith in you! 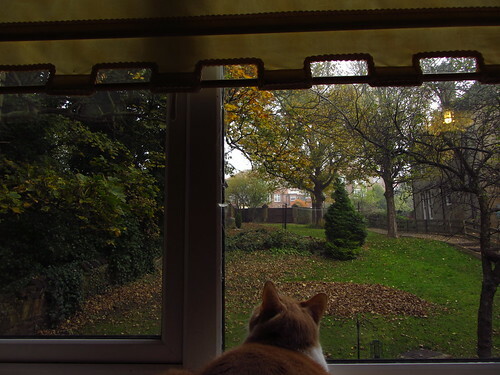 I would stare out that window too if I were the cat… what a pretty fall view.